Ever since I was a little kid, I’ve had the strangest “craving” behavior. I don’t get cravings very often … I’m the type of person that can eat the same thing every day for breakfast 80% of mornings and still get super excited about it. When it comes to dinner, maybe fish will sound slightly better than eggs, or kale will sound slightly better than zucchini, but in general, I’m pretty simple and most things sound good to me most of the time. When I do get a craving, though … I must have that food, or I’ll never get it out of my mind. I distinctly remember a time in high school when I got a strange craving for shrimp, and I talked about it every day until my mom went to the store and bought some shrimp. I’m not sure what it says about me that the biggest craving I can remember is for shrimp rather than chocolate ice cream, but I’ll go with it. 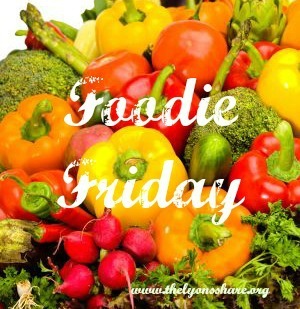 So what does all of this have to do with Foodie Friday today? Well, the other night, I was having dessert – it was strawberry Arctic Zero (which I got sent for free – review coming one of these days!) mixed with Heritage Flakes cereal and almond butter. Kevin walked over and said “Mmm! Smells like blueberry muffins!” Well, needless to say, what I was eating was neither blueberry nor a muffin, but ever since then, I just have not been able to get the idea of blueberry muffins out of my head. When Heather re-started her Meatless Mondays from A-Z this month and revealed that the current ingredient to create with is “oats,” it just added fuel to the fire. And then, just because I love “healthifying” my recipes, I went a step further. I was in the shower thinking about these blueberry muffins (see? my cravings haunt me!) and I thought … why not add chickpeas? Once I had the idea, I just had to execute. And since it’s a little off the beaten path, I’m excited to link up with Laura‘s amazing Strange but Good concoctions. She always amazes me with her creativity! So … today, I offer you a secretly healthy blueberry muffin recipe, that is good on its own, even better smeared with a bit of almond butter, and of course, great crumbled over that breakfast that you just happen to eat 80% of the year :). Rinse and drain your chickpeas (remember the saponins?). 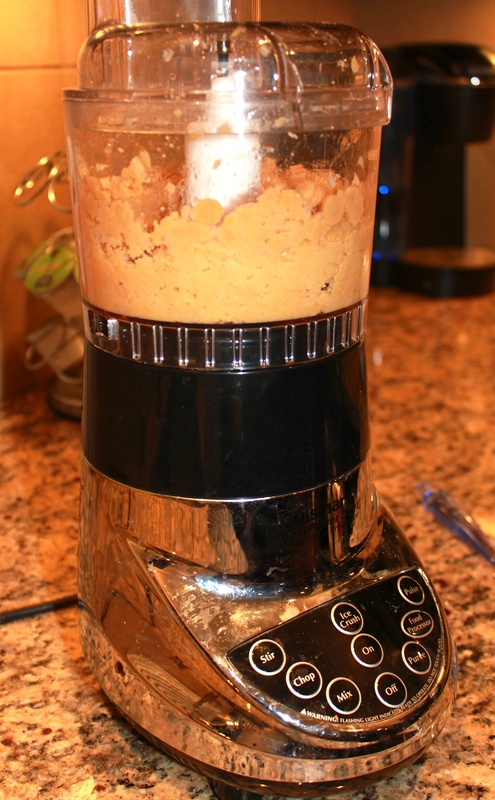 Empty into a food processor, and process until no whole chickpeas remain. Add all liquid ingredients (from egg through vanilla), and process until smooth. 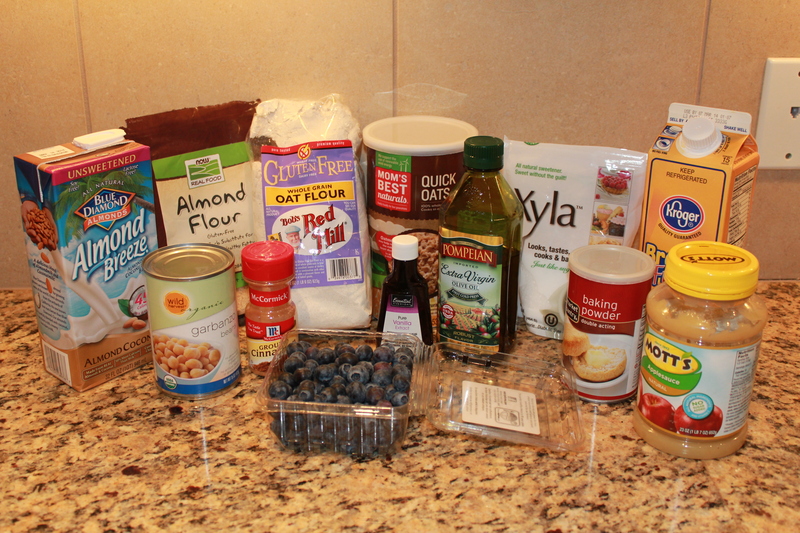 In a separate mixing bowl, combine all dry ingredients besides blueberries. Pour chickpea mixture into dry ingredients, and stir to combine. 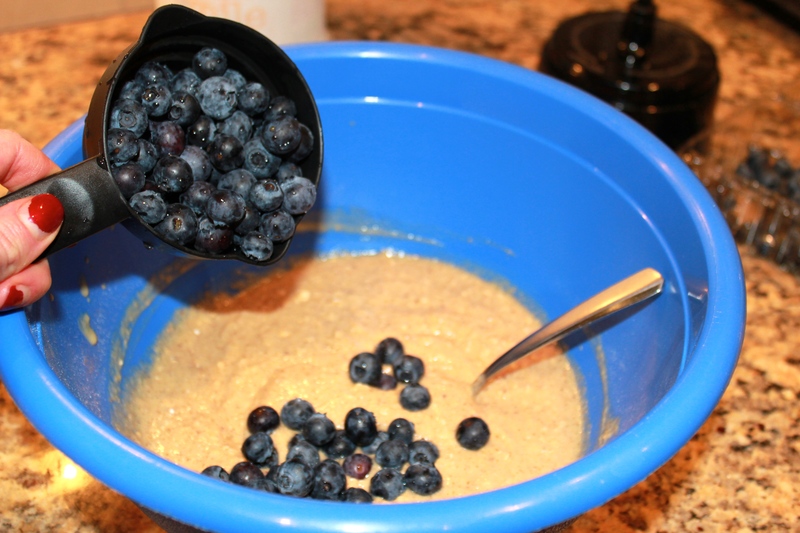 Once batter is ready, fold in rinsed blueberries. Divide batter into greased muffin tins. 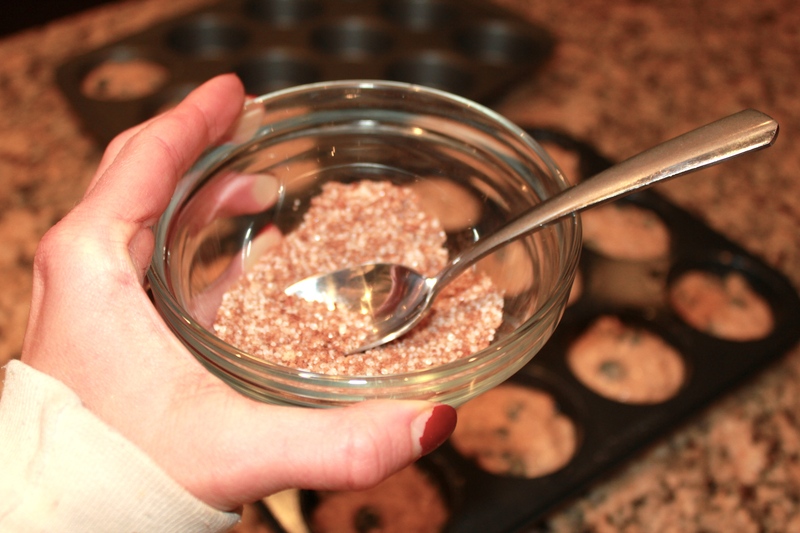 In a small bowl, mix ingredients for streusel topping, and sprinkle over tops of unbaked muffins. If made according to these instructions, each muffin will contain 85 calories, 2g fat, 15g carbohydrates, and 3g protein. So tell me in the comments … How often do you get cravings? What’s the last craving you had? Yum Megan these look delicious! 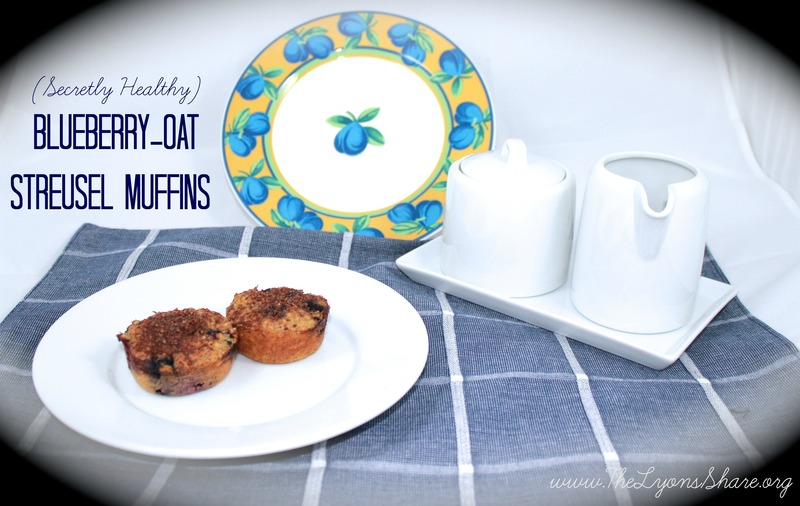 I love blueberry muffins – but come to think of it I haven’t had it in a long long time. I know what you mean about cravings though. I am the same way – once the craving hits there is no stopping it! Thanks, Sara! Yes, cravings are a funny thing! But now that I have my blueberry muffins out of the way, I think I’m safe for the next few months :). 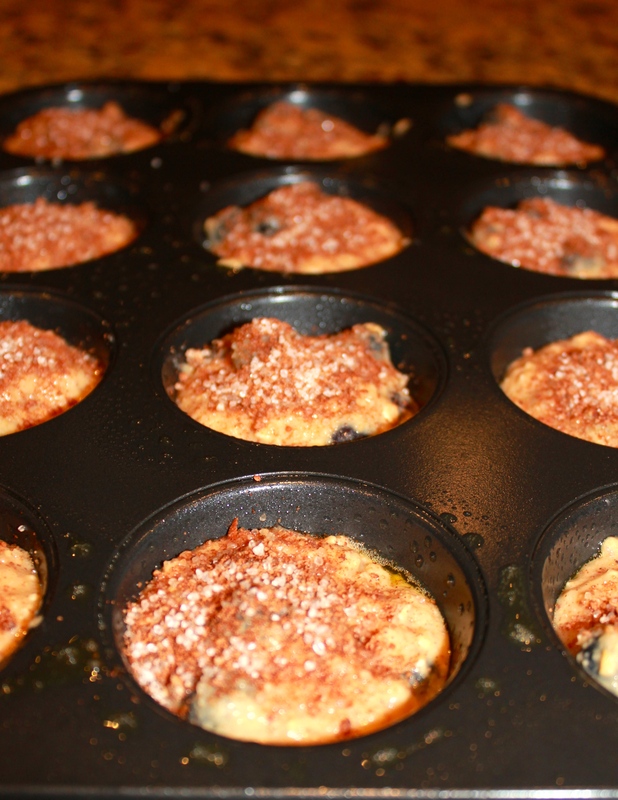 I just made chickpea muffins the other day…sounds odd but it’s so yummy. These sounds wonderful! Wow, great minds think alike! Glad you liked them, too! I tried to search your site for your version to post here, but couldn’t find it. Feel free to post the link! I LOVE “secretly” healthy recipes like these! 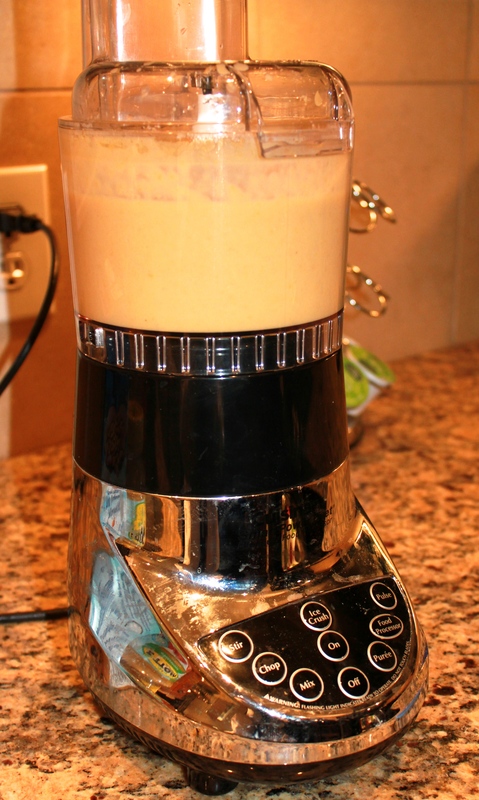 Nothing like slipping a little nutrition to my husband and the kids! Thanks for sharing! What they don’t know won’t hurt them, right, Elizabeth? 🙂 Hope you enjoy them! Thanks, Allie! I love chocolate and peanut butter, too – I completely believe in indulging in a small portion of the things you’re craving, so you shouldn’t feel guilty at all! I’ve never tried or looked into the Pure Protein bars but I’m glad they’re working for you! I adore blueberry muffins! They’re second only to chocolate chip, and that’s only because… well… chocolate 😉 And speaking of chocolate, that’s what my last craving was for… so I satisfied it with a granola bar. Amanda @ .running with spoons. recently posted…. banana oat greek yogurt pancakes . Haha, I hear you, Amanda! Pretty much nothing tops chocolate in my mind. I’ve been eyeing your granola bars – they look delicious! Oh my goodness – these look amazing!! And look at you kicking off the fun for #MMAZ, I love it. I’m going to try to work this into my meal plan for next week (I think I can! ), they look delicious. And I’m the same way about cravings. They are rare, but when my mind is set, that’s what I want!! Thanks for hosting #MMAZ, Heather! Sorry I was a bit early, but I just had to work it into my plan. Looking forward to linking up Monday! Hope you enjoy the muffins! I am on a muffin kick right now! They seem to be the perfect complement to whatever breakfast I am eating! I’m definitely going to make these! I don’t have almond meal or flour. Should I double the oat flour or can I use whole wheat flour? Thanks for sharing! Amy – here’s my opinion, but please know that I’m so far from a baking expert that it’s not even funny. 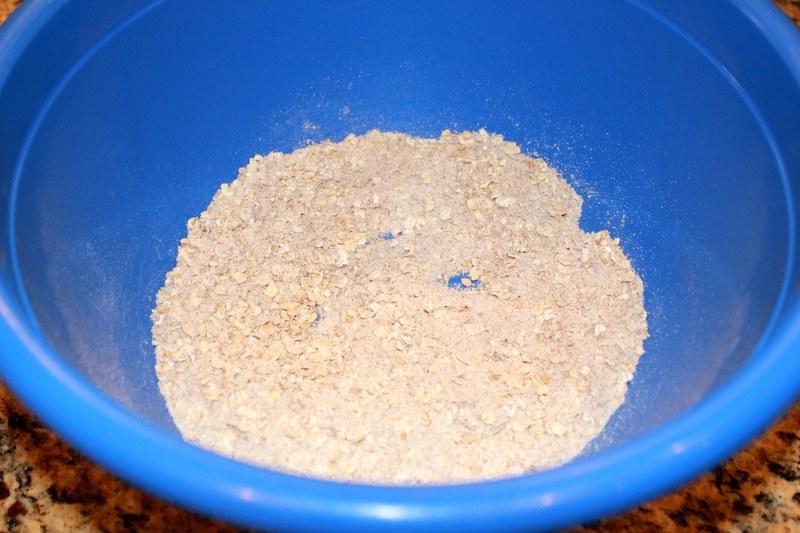 I would use whole wheat flour rather than oat flour if you don’t have almond meal. The almond meal is pretty dense, and I think the whole wheat flour is more dense than the oat flour. I could have sworn that Davida did a post on flour substitutions, but I can’t find it now! She’d be the best person to ask :). Oh man, I struck out with Lisa again. YUM – balsamic parmesan sliders sound delicious, and I’m not even a big burger fan! I’m all about tricking people into eating healthy food. I tricked Curt into peanut butter blondies yesterday and while he did comment on the lack of butter he ate half the tray anyway…forcing me to have to remake them so I could photograph them haha. Love the chickpeas and the photos look fab! Haha, anytime I make anything Kevin will ALWAYS say “it needs more sugar” or “it needs more butter.” But then, if he continues to eat it, I know he’s just being a pain ;). Thank you SOO much for the photo comment – I still have light-years to go, but I am actually having fun with my slow improvements! Hey Laura – hope you try them! Like I told Amy in a previous comment, I am really not the baking expert, so please take my substitution advice with a grain of salt :). BUT I think protein powder would be a good sub! I’ll warn you that the batter was definitely on the liquid-y side to begin with (maybe that’s why they took so long to cook), so I would definitely reduce the liquid, and maybe even eliminate the almond milk all together. Hope you’re having a great weekend! Shrimp cravings? That’s my kind of cravings! Do you rinse your legumes before you eat them? Sometimes the saponins could cause digestive issues if you don’t rinse them (but might lose their evil effects when baking, etc.). Other than that, well, at least you have hummus! This muffin is wearing a disguise! It’s celebrating Halloween in January! Hey, I guess if it ain’t illegal – GO FOR IT! Haha, I’m pretty sure these muffins are not illegal :). 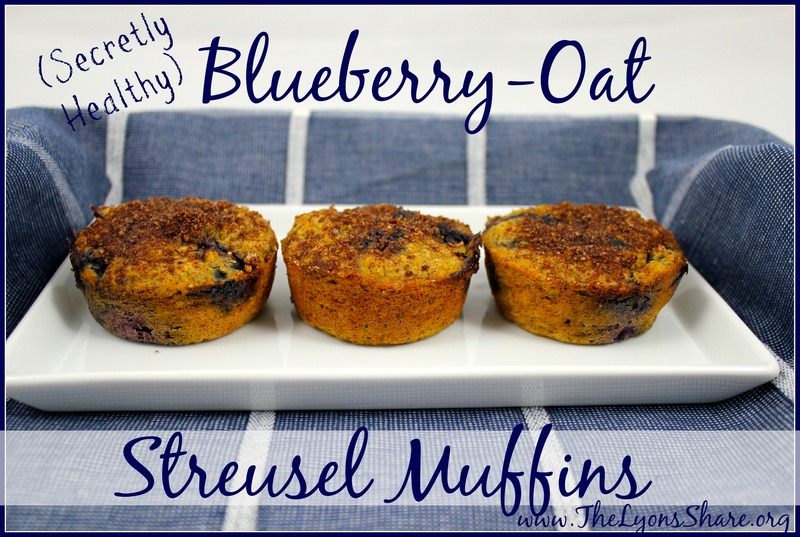 These look amazing and gluten free! Score! Yay for gluten-free … you’re doing so great on your challenge! These look delicious! Brilliant to add the chickpeas for a boost of protein, I’ll definitely have to try! I hope you try them and like them, Nicole! You do have some of the pickiest eaters I know, but I’m still holding out hope that it’s just a phase and Brendan will become a veggie lover in a few years :). I was pretty picky as a kid and I grew out of most of it, so I have hope for Brendan! Although I don’t think I was nearly as picky as he is, but my mom would probably disagree. It doesn’t help that my biggest “kid” is the pickiest of all. I don’t normally visit foodie sites, as I’m more in the writing line of work. However, Blueberry Muffins are my downfall, I love them so much. I wanted to see how you could make them healthy. Great recipe. I think I’ll try it out one day. Thanks for posting. I appreciate you attempting to help those who need to find healthy eating habits. Have a blessed day. Thanks for stopping by, Vicki! I do love helping others become healthier in ways that work for them! Hope you’re having a nice weekend. Suggestion: Can you add a print command to print out the recipes? I’d like to collect them in a notebook. Congratulations…not many people have the courage to follow their dreams. Hi Chris! Thanks so much for the suggestion. Yes, I’ve been looking into purchasing a recipe program that would make it easier for readers to print out recipes. Keep your eye out for changes in the next couple of weeks. I really appreciate the feedback, and the encouragement! I hope you know I mention this stuff not to be a pain, but rather as a reminder of how hard it can be to make some of these dietary changes when your body won’t tolerate many of the things. It is like the fun game we are constantly playing ‘find the hidden apple ingredients in non-apple foods’. I was doing that this week as we were looking for black currant juice for a recipe … all of the varieties had apple as filler. Eventually I had to buy tart cherry juice (for an exorbitant amount!) just so she would be able to eat what we baked! Please don’t apologize – I appreciate all your insightful comments, including the ones about Lisa! While I’ve had lots of experience with vegetarians, vegans, those who eat gluten-free, etc., I’ve never come across a set of food allergies quite like hers, and it makes me grateful for all the foods that I enjoy! Glad you found tart cherry juice!